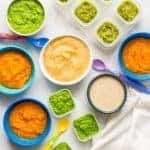 Tons of ideas and recipes for ways to use leftover baby food, plus tips on how to store leftover baby food safely. We are just back from a long weekend in Florida, a family reunion with my husband’s side of the family, and we had SO much fun! Lots of beach time, family time, play time, and tons of great food! But whew, I’m worn out and feel like my house is half upside-down. We got home late yesterday afternoon, I immediately went to the grocery store to stock us up, made some overnight oatmeal jars to have on hand for the week, made dinner, caught up on some emails and then settled in for Game of Thrones. But I’m so excited to bring you today’s post about ways to use leftover baby food! 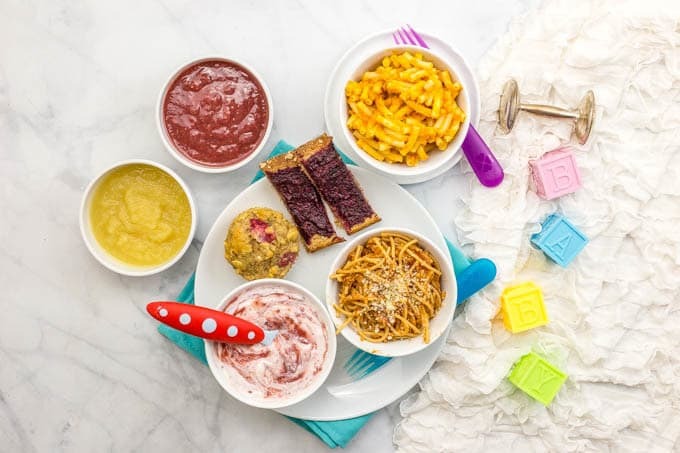 It’s something I’ve been meaning to post about ever since I started my homemade baby food series a couple of years ago (lots of which I revamped earlier this year). Can I reuse leftover baby food? Yes, if it’s not contaminated. If you’ve put a spoon in the jar or container that was in your baby’s mouth, you need to throw it out. (The germs from your baby’s mouth can turn the baby food bad.) But if it’s unopened or unused or untouched, it can be reused. Can I store leftover baby food? Yes! If you have an open jar or container that wasn’t contaminated (see above), you can refrigerate it for 3-5 days or freeze it for up to 4-6 months. How do I store leftover baby food? It’s best to store homemade baby food in small containers with a tight seal. This allows you to portion out just a bit at a time to avoid wasting food. If freezing, you can use ice cube trays to make small cubes. Once they are frozen, transfer the cubes to a labeled freezer-safe bag. 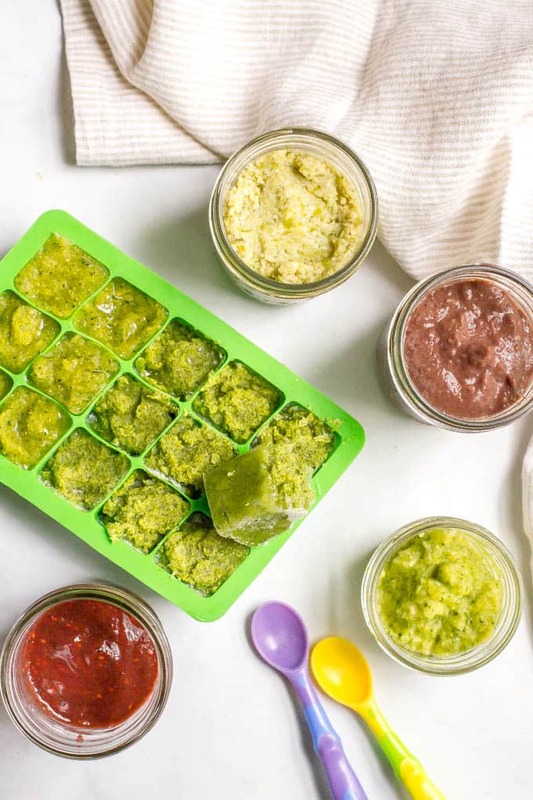 Can you freeze leftover baby food? Yes! You can freeze leftover baby food for up to 4-6 months. Transfer it to an ice cube tray or small freezer-safe containers. And be sure to label it! 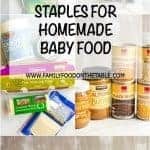 Things to do with leftover baby food jars — I never had any because I did all homemade baby food but I found some cute ideas here and here if you want to check them out. So now that we’ve covered the basics, what are you gonna actually do with those extras once your sweet baby has moved beyond purees? 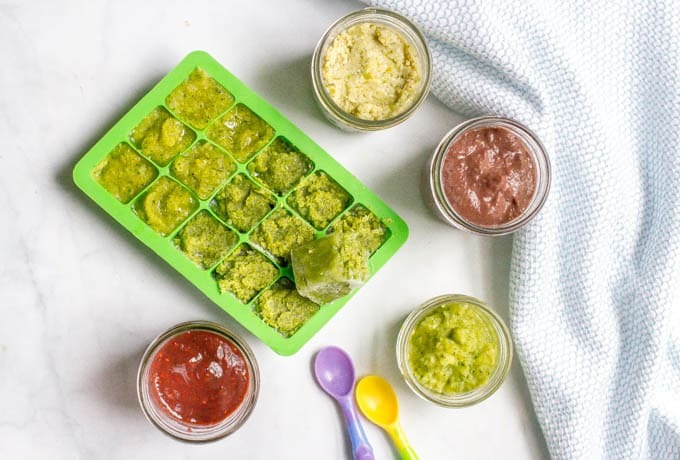 So here are lots of ideas for you on using up leftover baby food! Mix corn, carrot or squash purees into mashed potatoes or mac and cheese. 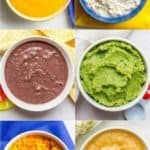 I would love to hear if you have other ideas for using up leftover baby food! Please share them with me in the comments below! P.S. Here’s that one-pager free printable again! Great post! 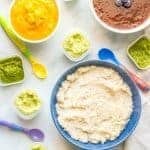 Pureed fruits and veggies are so versatile! Yes they are! Thanks so much Luci! I’m sorta, mostly back in my groove 😉 And thanks – I hope this is helpful for all the moms of littles out there! Thank you for the info. As a stay home dad, I am always the one feeding my baby his food. I always wonder the same thing that if I can store the lefeover for him. I am glad to find this useful article. Hi Emily! I’m so happy this is helpful! 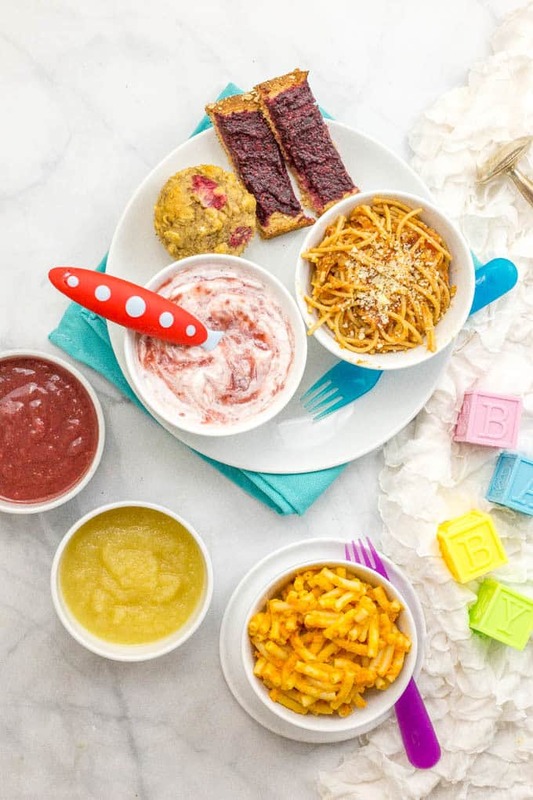 And my kids were the same way – once they want to switch to finger foods, there’s no going back! Hope you find some great ways to use up your extras! I’m looking to use my leftover meat purées to make meatballs- an idea you mentioned. 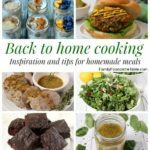 Do you have a recipe that you like? I’m curious how already cooked meat purée works in a meatball recipe since normally you don’t cook meat before forming the balls. Hi Lizzy! I don’t have a recipe but I just looked around and found the two below. They call for cooked turkey or cooked meat, so I think you could substitute any meat purees. You just might need extra breadcrumbs to help it come together since the puree will likely have a higher moisture content than regular cooked meat. Hope that helps. Would love to hear what you try! Can you walk me through how to make baby meatballs? Hi Heather! I don’t actually have a recipe for baby meatballs on my site and I’m not sure how exactly I used to throw them together. I think I used ground meat (we prefer turkey but beef would be fine too) and mixed in some of the veggie purees as part of the binder. I’ve heard of people adding grain purees too. You may be able to Google a recipe for more specifics. Hope that helps! My youngest just recently moved to solid foods and doesn’t particularly care for the baby food any longer, but I’ve been missing a little floor and baby whole grain cereal with different mixtures and baking little baby biscuits to get rid of the 50 assorted flavors we have sitting in the pantry. I’m a stay at home father for the second child. My wife got the first round. Thanks for all the tips. I like the jar crafts for my oldest. Thanks for all of these ideas! 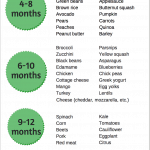 We get a lot of food through WIC, and my 7 month old is kinda over the pureed foods. I’ve got quite a few ideas now as to what I can do with all the food we get each month, as well as the cereals we get! Thank you so much! We have a lot of baby food left over and are looking forward to using the jars for holiday gifts- but what to do with the food inside?! Thank you for the ice cube tip- now I can get all the purees safely stored and get on with our jar crafts! I’m so happy to hear this was helpful! And good for you for using those jars – sounds like a fun holiday gift!